Career is extremely important for people and therefore they always try to get details about it. You can get the guidance to follow accurate path with career horoscope and get success in life. 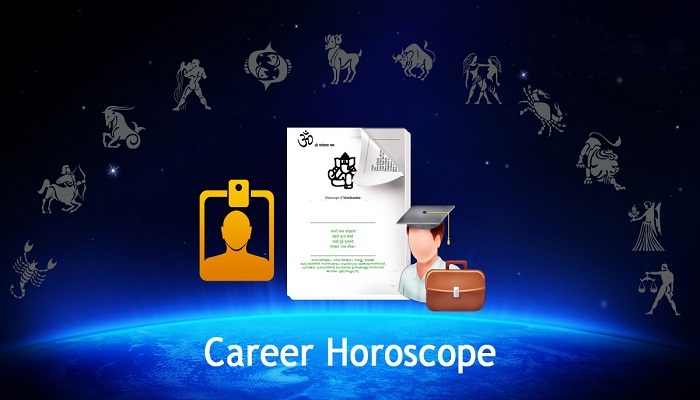 The career horoscope that we offer gives in-depth analysis of career for coming 5 years. Astrologer Ashok Prajapati conducts detailed study of the place and time of birth and offers precise career horoscope. Proper details of place and time of birth are therefore important. The predictions have high accuracy as the astrologer studies them personally. Astrologer Ashok Prajapati only studies 10-15 horoscopes daily since this task is crucial and need sufficient concentration and time. In the period of 5-7 days, custom made reports are mailed to the clients. Voice consultation and support are also provided. The career is decided by planetary positions in birth chart. The general information regarding career is provided such as: yog of private or government job, job in in a foreign country or business. The report also gives information whether the person can fulfill the expectations of others. Astrologer Ashok Prajapati give information about the field auspicious career field as well as the about those that should not be selected. If the opted field is suitable, success is guaranteed else not. Business and share market predictions are also provided in the report highlighting whether the stars are favorable for share investment or business or not. In astrology, the phases in which life is divided are termed as Mahadasha and Antardasha. Some of these are favorable while others are not right. When someone gets promotion, hikes or success than those phases are golden ones that assure success in any domain. During bad phases, care must be taken regarding investments and work place. This will help you to take advantage of golden period and remain cautious in bad phase. Monthly prediction of forthcoming 3-6 months will be there in the report. Report of 5 years is also there explaining career in that time. There are chances of job offers if favorable stars are there. The concern here is whether the job will be enduring, rewarding and secure. Such information could be offered by career astrology. The predictions that we offer also provide information regarding major changes of life such as change in country or city that has huge impact on life. The prediction also provides information regarding probability of overseas settlement. Destiny could not be altered but remedies could be used to reduce negative effects on career. The remedies that are favorable as per convenience and religion and are feasible for the users are also covered in the report. The career horoscope by astrologer Ashok Prajapati provides information regarding bad and good phases and the accurate direction for career. However, one should not stop working hard if favorable results are not foreseen in horoscope as efforts are must to achieve anything in life. Click here to order your Career Prediction by Email.